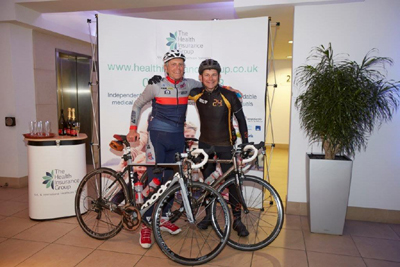 A Senior Healthcare Partner with The Health Insurance Group, Paul Hopewell, has cycled from Southampton to Sheffield, 240 miles, in just 18 hours, a feat that has so far raised £9,000 and the total is still rising as the fund will be kept open for a further 24 days. The recurring 24 is significant because this is the number of weeks at which a premature baby is considered viable, with the right support and equipment. The money raised from this epic ride will go to the King’s Mill Specialist Baby Unit in Mansfield, where Paul’s son was cared for 15 years ago.